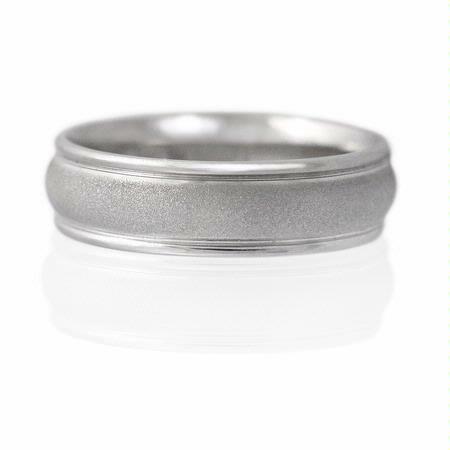 This beautiful men's 14k white gold comfort fit wedding band ring, features beautiful matte finish detail all along the shank. 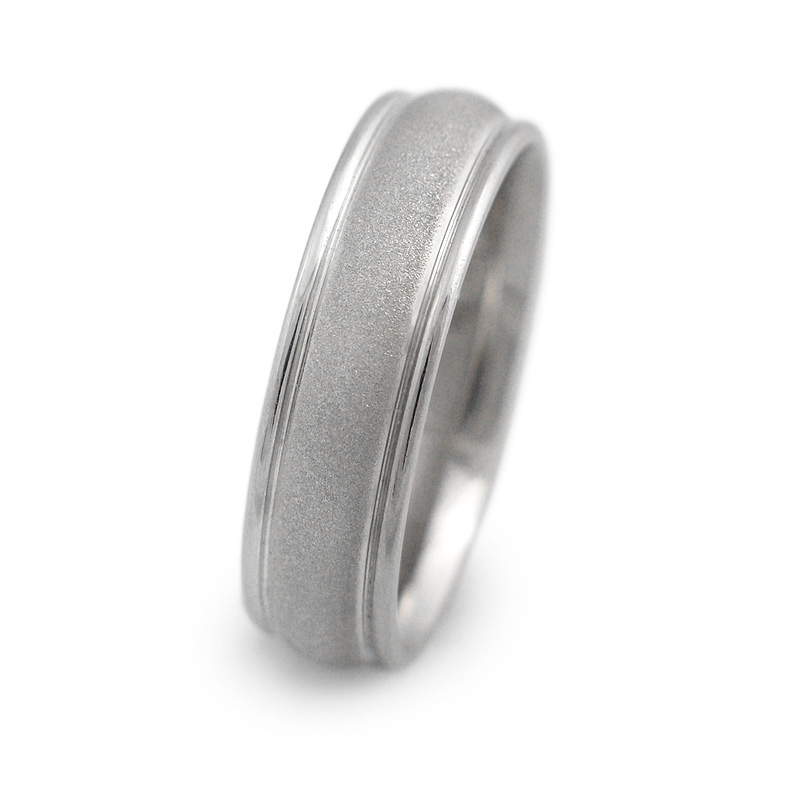 A symbolic expression of your everlasting love for her! 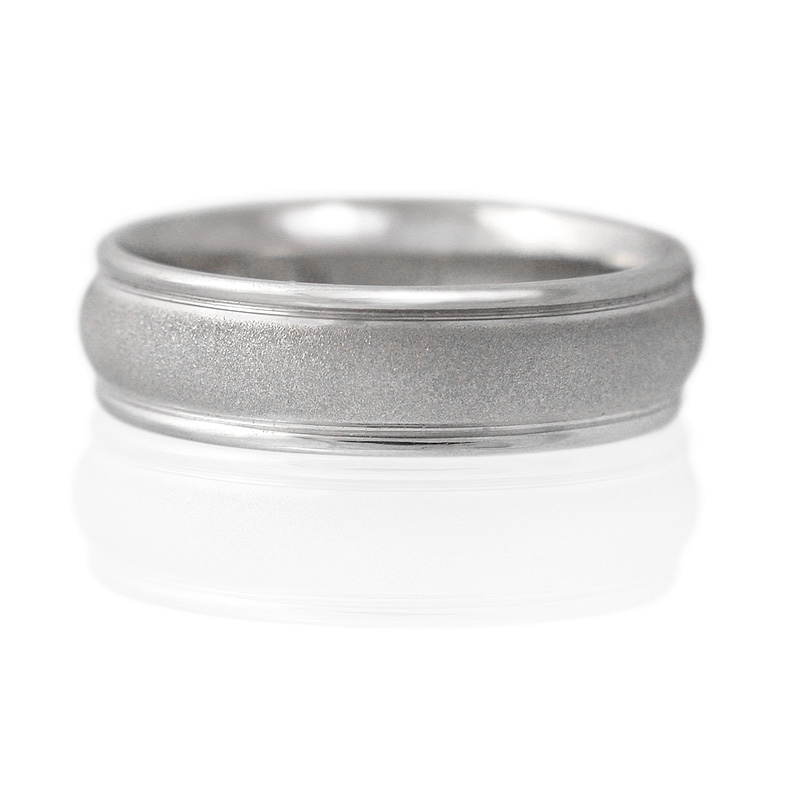 The ring is a size 9.75 and measures 6mm wide.